Jan Wilson, owner of Dog-Gone Fun, has been working in the dog profession for over 35 years. Jan is a Certified Pet Dog Trainer (CPDT-KA) and is a member of the Association of Pet Dog Trainers, a nationally known organization for professional dog trainers. She is also a certified Canine Good Citizen (CGC) evaluator. 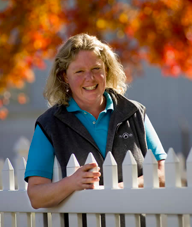 Jan has worked as a vet technician, kennel manager, and dog trainer. 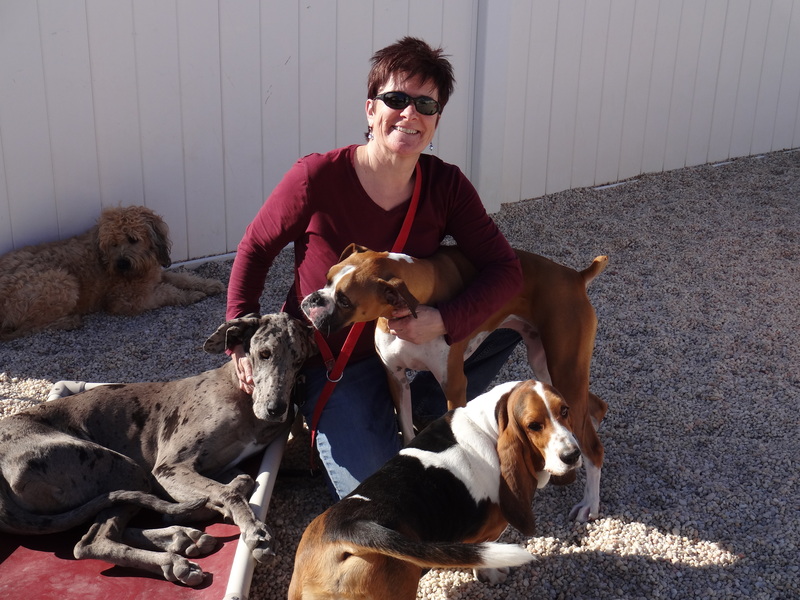 All of her experience inspired Jan to open Dog-Gone Fun, a dog daycare, boarding and training facility. She holds a Bachelor of Arts degree in biology from the University of Maine. She currently teaches all levels of obedience classes, out and about, private lessons and trains puppy day school dogs. She also continues to work with dogs with behavior problems. Jan’s personal dogs have competed in flyball, trained in search and rescue, K9 Nose Work®, pet therapy and obedience. Nancy Osborne, K9 Nose Work® instructor, teaches all levels of K9 Nose Work® teams from beginner to elite. She also works in daycare and teaches obedience. She is a Certified Nose Work Instructor (CNWI) for K9 Nose Work®, one of only four in the state. K9 Nose Work ® is a game and sport designed for dogs which provides an outlet for their natural hunting and scenting abilities. This class offers great mental and physical exercise, builds the dog’s confidence and helps nervous dogs feel more comfortable. Dogs learn to problem solve and work independently. Nancy has been part of Dog-Gone Fun’s team for ten years. She has trained and titled two of her Labradors in NW3 and Elite K9 Nose Work®. Ashley Allison, Agility instructor at Dog-Gone Fun for eight years. She also works in daycare and teaches tricks to a variety of dogs at DGF. She has experience working with a variety of breeds and sizes of dogs. Many of her students compete and have earned championship titles. Whether you are looking to compete with your dog or simply give them an outlet for all that energy, agility is a fun time for all. Ashley has competed with Currie, her border collie in USDAA, Cynosport World Games and the US Open. 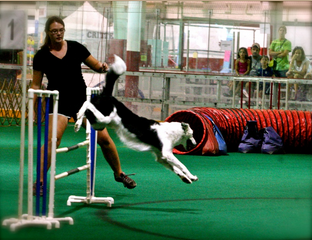 She continues to expand her agility knowledge by working with many high level trainers and competitors. Cheri Moore Obedience Levels Instructor. Cheri started training puppy kindergarten, beginner obedience levels I & II and CGC classes at the Winston Salem Dog Training Club in 1999. 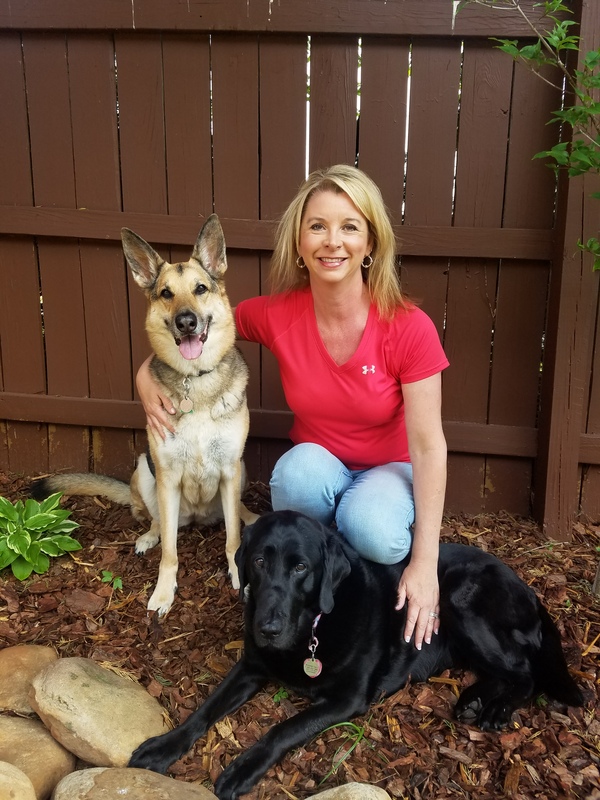 Cheri has owned her own dog training business and worked as an Animal Behavior College training mentor.She is also a certified Canine Good Citizen (CGC) evaluator. She owns a German Shepherd and a Labrador Retriever, which she trained and titled in Competition Obedience, Rally Obedience, Tracking Dog, Master’s Agility, Therapy Dog, and Elite K9 Nose Works. The staff at Dog-Gone Fun has over sixty years of working with canines and meeting their needs. Dogs are always supervised by our experienced staff who reinforce good dog play, playground manners and on leash manners.